The Hall of Fame women’s basketball writer, Mel Greenberg, didn’t have to ponder much when asked if Friday, March 30, 2018 was the greatest night in the history of what is a rich, often hidden history of women’s basketball. Sure, there was that night back in 2005 when Baylor and Michigan State roared back from steep deficits to upset Sylvia Fowles’ LSU and Kim Mulkey’s Baylor took down Tennessee, but the sheer magnitude of basketball, the punches and counter punches, well, Greenberg had it on his scorecard as the very top. It was a testament to talent and toughness and a rebuttal, all at the same time. It was the most heart-pounding night in the history of a sport, good for “the game” down to the last shot. For the first time ever, two overtime games decided who will play for the NCAA Women’s Championship on Easter Sunday in Nationwide Arena. Mississippi State punched its ticket with a 73-63 overtime win over Louisville in the opener, a game that looked like it couldn’t possibly be topped after Tierra McCowan finished with a Final Four record 25 rebounds in a game that featured 15 lead changes, four ties and a 3-pointer by fifth-year senior Roshunda Johnson with seven seconds to go in regulation to send the game into OT. And then came Notre Dame. If you are a follower of Indiana University basketball, you have seen Tyra Buss and Amanda Cahill more often than … well, more often than anyone else in the women’s game. Buss, with 1,439 minutes played, and Cahill, with 1,367, rank Nos. 1-2 in the NCAA this season. Speaking of history, at the Nationwide Arena tonight, Brian Agler, Katie Smith and those ABL kids. The trip from Kingfisher County took five hours by car, across Oklahoma and down the Texas panhandle. A basketball star in high school, Kaye Garms had heard about a Baptist college near Lubbock that had a women’s team. She and another player wanted to try out. It was the mid-1950s, well before Title IX, and girls were still being told that basketball was too rough and tumble, that it might prevent them from having babies later in life. How ’bout in 2020? GOLDSTEIN: Marquette will be great next year, but what about after that? What North Carolina Central did with its players was within the rules — the days of a full four-year scholarship are over. While schools can provide multiyear deals, many offer one-year scholarships that are renewable each year. Several North Carolina Central players said a December letter sent to parents from Stafford-Odom stated that some scholarships would not be renewed. Yet, 10 players essentially being cut in one day — that number is shocking. The Undefeated made several telephone and email requests to interview Stafford-Odom and North Carolina Central athletic director Ingrid Wicker McCree for this story, but neither was made available to comment. BTW: Who are the WNBA Draft prospects in the Women’s Final Four? Guess that’s what happens when the top four teams reach the Final Four, huh? Mississippi State over Louisville, OT. After a first quarter to forget, all bets were off…. Notre Dame over UConn, OT. Quick flashback to their first game this season, then the Huskies went on a run, then Notre Dame refused to fold, then player after player after player made plays. YEA BASKETEBALL!!! Notre Dame Women’s Basketball: IRISH UPSET UCONN!!! Random note to the NCAA, #2: YES to “Greats of the Games” doing free-throw/shooting contests during the game. More please. Random note to the NCAA, #3: HOW COOL TO HAVE THE “This Award Was Named After Me” folks on the court. MORE OF THAT, PLEASE!!!! Random note to the NCAA, #4: Remember when the D2/D3 Championships happened at the Final Four. AGAIN!!! Final note to readers: If you complain about coverage, and haven’t clicked on a ton of these links, hush. If you have, THANK YOU!!! If you feel inspired, drop the writers and editors a quick note of thanks, please do. It helps. And, as always, check out the Columbus Dispatch coverage. Support local papers. Now I gotta go grab some throat lozenges and a gallon of coffee. WHAT A NIGHT!!!!!! No one does more to leech the madness out of March than the Connecticut Huskies. The Final Four trip is practically a timeshare for Geno Auriemma and his team. First weekend in April. Book it and see you there. But Auriemma, who has made more Final Four trips that any coach in college basketball history (19), would like everyone to know that being a heavy favorite also comes with a sometimes soul-crushing weight of expectations. Listen up! LaChina’s live at the Women’s Final Four in Columbus, OH. 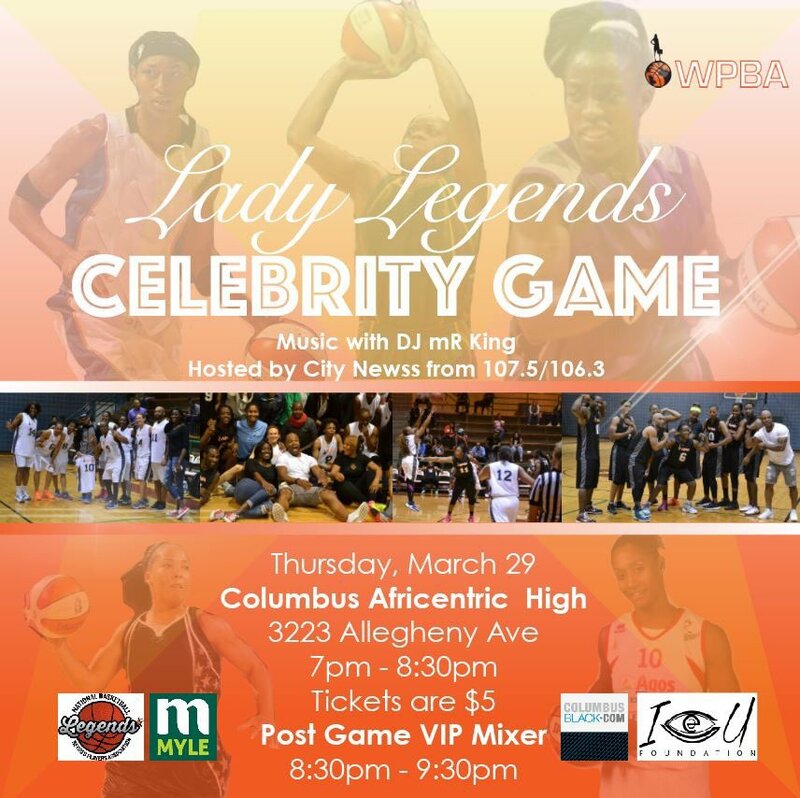 They are joined by coaches Katie Smith (Liberty), Curt Miller (Sun), and Amber Stocks (Sky); former WNBA All Stars Chasity Melvin, Ticha Penicheiro & Rushia Brown, and WNBA prospect Kelsey Mitchell. Column: The Final Four: What’s yet to come? Noie: Notre Dame not intimidated by big, bad UConn, but is that enough? SC State Will Not Renew The Contract of Women’s Basketball Coach Doug Robertson, Jr.
Jon Newman‏ @jonnew; #Rutgers fans, 36 years ago today @TheresaGrentz12 and @RutgersWBB won the last AIAW championship. A bunch of us old @WRSUsports guys with @RUAthletics help are working on a documentary to make sure they’re not forgotten. Here’s the trailer, more coming. If the front page article at the Washington Post (She coached her team to the NCAA tournament. Then she quit, for her daughter.) wasn’t enough to convince you, how about Vic Dorr. Joanne Boyle, who retired Tuesday after seven seasons at the helm of the University of Virginia’s women’s basketball program, likely will never become a hall of fame coach. But that’s OK. To me she is — and always will be — a hall of fame human being. Here’s why: In October of 2002, Boyle was very nearly late for her first practice as the new head coach at the University of Richmond. As she drove toward the Robins Center, she saw an elderly man in distress on the shoulder of College Road. He had slipped on loose gravel and fallen. He could not climb to his feet. Boyle stopped to assist. She helped the man into her car and drove him to his home. He asked to be taken into the TV room. Once there, he asked that the television be tuned to NBC for that afternoon’s Notre Dame football game. Boyle did as the man requested. She made certain that he was comfortable and calm before leaving for practice. Then she did something remarkable. She returned after practice to not only check on the man but also to watch some of the football game with him. I know this because I knew the man. He was my father. Good luck and Godspeed, Joanne. You’re something special. New York groove! *tries to get out of bed* WHOA. Lemme sit down and pop some more cold meds. Bleh. So yea, was able to track the UConn and Notre Dame wins through a feverish blur. How good a coach is Muffet McGraw! How much fun is it to watch the Huskies pass the ball? Notre Dame Women’s Basketball: Irish are Final Four bound! Ben Baskin at SI: Women’s Final Four Preview: Can Notre Dame Stop UConn? Who Will Win Louisville-Mississippi State? Will this UConn team go down as one of the program’s greatest ever? Point/Counterpoint: Will the UConn women’s basketball team win the national championship? Virginia Tech at West Virginia, 7 p.m.
FEVER! No. Really. I have a fever. Totally stinks. Know who else is smokin’? The unday #1 seeds. They were NOT messing’ around. Louisville over Oregon State by 33. Mississippi State, Louisville to Final Four; Who’s next? Steady on! Learning lessons from Baylor and Texas, the rest of the top-seeds made sure they took care of business. Louisville over Stanford. Still impressed by the final Tara crafted out of a tough season. Louisville women roll into Elite Eight, but look what awaits. Mississippi State over NC State. Notre Dame over Texas A&M. Coach McGraw’s team continues its improbable run. And the Aggie’s Carter is ONLY a freshman! Oregon over Central Michigan. Ionescu doin’ Ionescu things. Thank goodness she’s only a sophomore! And what a run for CMU (and Buffalo)! MAC attack, indeed! South Carolina over Buffalo. A couple of observations from my Albany road trip:No surprise, a great turnout for the Bulls. They kept the Gamecocks honest – especially Cierra Dillard. She reminded me of Gopher Whalen – fearless, surprisingly quick, relentless. A’ja Wilson is a joy to watch in person. UConn over Duke. Is it possible Gabby Williams is a rubber band in human form? And, did anyone else watching the Blue Devils’ Odom have flashbacks to UNC’s LaToya Pringle? Can Louisville stop Marie Gulich? Program Note to the “Upsets don’t happen” peeps. Oregon State over Baylor. Great to listen to the OSU radio call. They weren’t sure it was going to happen, especially when the Bears made the last few minutes so….Interesting. More anon – gotta hit the road for Albany!